Restaurant Doors Stainless Steel Double Door - Restaurant Kitchen Doors Lightweight Stainless Steel Door. 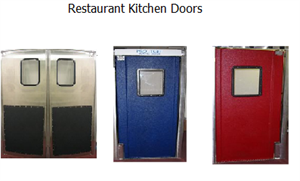 Restaurant Kitchen Doors in Los Angeles, Tuff Lite Door. Home > Lightweight Doors > Stainless Steel Double Doors With Kick Plates. Stainless Steel Double Doors With Kick Plates. 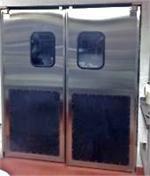 Stainless Steel Restaurant Kitchen Doors. For People And Light Cart Traffic. 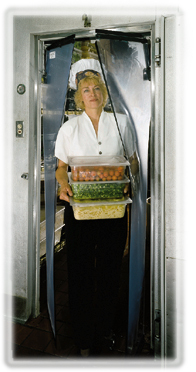 Perfect for commercial restaurant kitchen traffic. 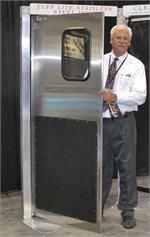 Lightweight 16 gage single ply stainless steel door. Strong stainless steel hinge system allows smooth opening and closing. 36" kick plates added for cart and foot traffic. 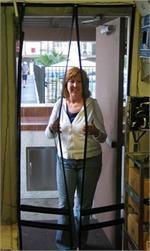 Door size in photo is a 72" x 84" $2,200.00. Stainless steel doors normally ship in 3-4 working days. Restaurant Doors Stainless Steel. Stainless Steel Restaurant Door With Kick Plates. 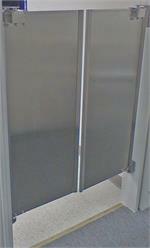 Stainless Steel Door With Kick Plates $1,225.00..
Our Most Beautiful Door. 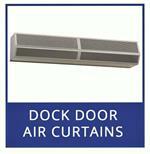 Double door sizes starting at 36" wide. 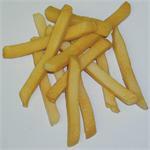 We have various restaurant doors to choose from. 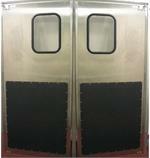 Stainless Steel restaurant doors and Pro Tuff series traffic doors. 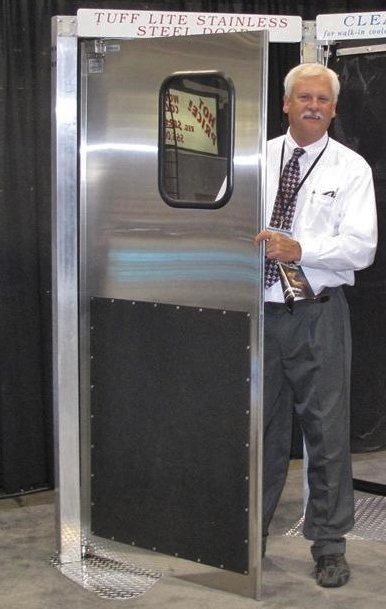 Standard size doors are in stock. Price: 36" x 42" double panel $895.00. Stainless Steel Cafe Restaurant Doors In Stock. Half size stainless cafe doors are available in double panel or single panel. 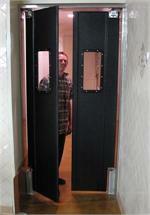 Stainless Steel Double Door Without Kick Plates. 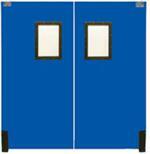 Stainless Steel double doors starting at 36" wide. 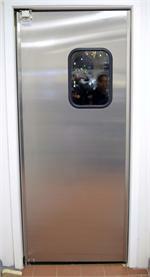 Stainless steel restaurant kitchen doors are in stock. Stainless Steel Restaurant Doors Without Kick Plates. 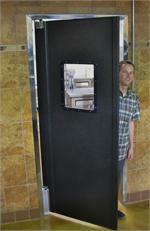 Lightweight stainless steel restaurant door 30" x 84" $849.90. Call or order online. Price: 36" x 84" single panel $950.00. Stick On The Wall Gasket Seal Strips With 3/4" Coverage. Price: 7 foot length $65.00. 1-1/2" wide stick on with 3/4 inch gap seal coverage. Perfect for temperature and insect separation. Peel and stick gasket attaches onto the flat door edge or side wall frame to seal air gaps.